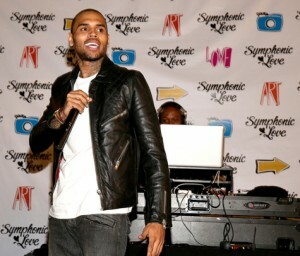 Self-styled R&B bad boy Chris Brown has been the devil incarnate in the media for what seems like several years now. So it is rare to hear of a case where he does something universally positive. This past week, Breezy helped officially launched his Symphonic Love Foundation with a visual, musical, and performing arts festival in Los Angeles at the Lafayette Recreation Center. The Symphonic Love Foundation offers arts programs for youth while encouraging public service, respect and kindness. It also provides grants in two areas: Art and Love. In 2012, Chris handed over $200,000 in grants to organisations including AIDS Project Los Angeles and the Jenesse Center. For the event, on Monday, October 29, Brown posed for photos with children and spray-painted murals on the walls, later enjoying a performance from The Debbie Allen Dance Academy. Breezy is also working with his mother and aunt on an arts and recreation center in his hometown of Tappahannock, Virginia.